Here’s a wintery Olaf the Snowman cupcake (he’s from the movie Frozen), appropriate because there’s snow on the ground where I live in New Jersey. This snowman cupcake is by Amanda Cupcake of New London, Wisconsin, via her Facebook page. 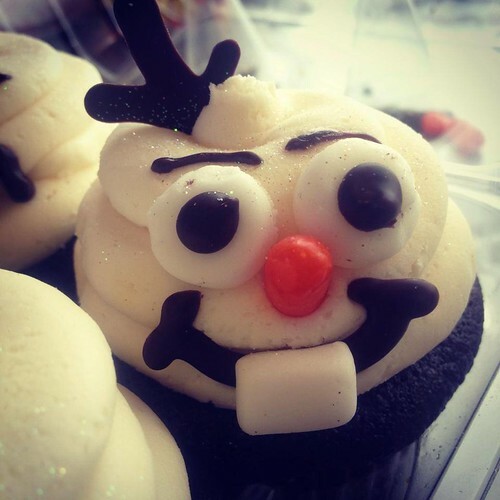 This entry was posted in Uncategorized and tagged Amanda Cupcake, Frozen, Olaf the Snowman, pop culture, pop culture cupcakes, Wisconsin on December 17, 2013 by Rachel.